What is a Henge? — Table Tennis, In Concrete. Henge Table. A henge is an oval ridge of earth and stone. A henge was the social media of prehistoric England. People built them for worship and ritual. The most famous is Stonehenge. 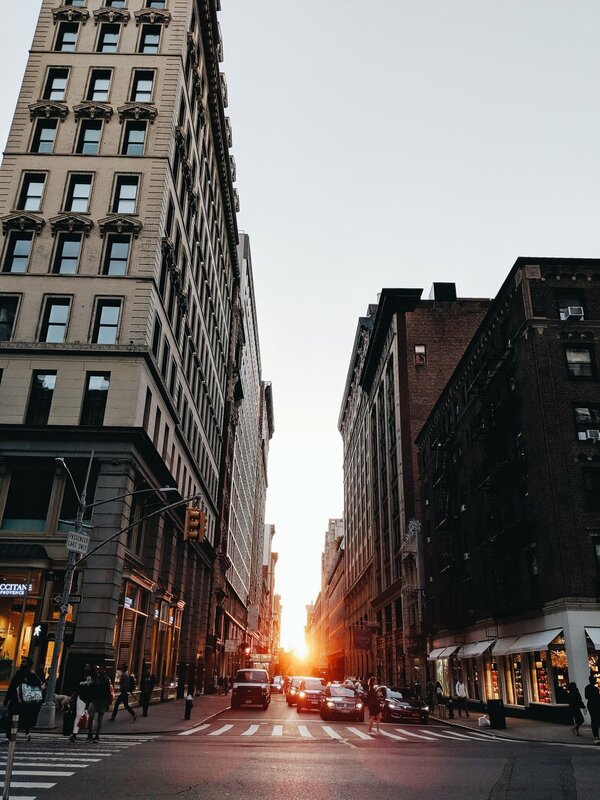 Four days a year in Manhattan, the setting sun dazzles everyone when it shines down one or two city streets at sunrise and sunset. The event is known as Manhattan Henge. Nature. A henge stands for centuries. In New York City, in the built environment and where we live and work, we sometimes miss nature. Yet we see the city stride forward with modern park design and landscape architecture. The waterside parks are amazing here, please take the ferry to Governor's Island. People. Our goal is to get strangers to mix and find out what they have in common. Art. Stone Henge is early sculpture. It balances solid with emptiness, form with function. Urban Design. People need to get out so they can see and hear each other. The prehistoric henge is like today's farmer's market. Today many people accept denser living, as long as they can walk, bike, and get to a park (and find a parking spot). A HENGE concrete ping pong table in a park today is part of that design movement toward the walkable city. Time. Stone lasts. A sunbeam walking across the ground marks time when it shines through the big slits of Stone Henge or the portholes in a HENGE table. Evolution. Commerce put up the stone and steel canyons of Manhattan, London, Shanghai. The cities themselves work like a henge. They are monuments to human evolution through trade.